Try our newest Sprinkle cookie. For you lemon lovers, it is time to celebrate. Our zesty Lemon Sprinkle will be a lemony citrus party in your mouth. 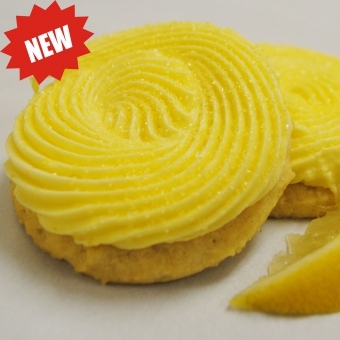 The lemon shortbread is soft and the icing is oh sooooo creamy. Enjoy! Size: -- SELECT -- Lemon Zest Sprinkle 10 ct.Lemon Zest Sprinkle 20 ct.Lemon Zest Sprinkle 30 ct.Lemon Zest Sprinkle 60 ct.Lemon Zest Sprinkle 90 ct.